The film takes place sometime after WWII when the murmur of battery and fighter jets still haunted a depressed country that struggled to recover. When the calm breaks with the routine of fear Hester Collyer (Rachel Weisz) must confront the reality of a failing passionless marriage and a new younger man named Freddie Page (Tom Hiddleston), a former pilot and war hero, whom she falls hopelessly (and I really mean hopelessly) in love with. Hester is a victim of her intense emotions, unable to find a reason to live because she loves too much. There is hardly anything harder than to know, to be certain, that no matter how much love you receive, it will never match the love you give. When passion takes over, reason is no longer allowed and every scenario, no matter how radical, becomes a possibility. This is the film’s main thesis about Hester’s struggle. Instead of finding happiness in her new found love, Hester can’t cope with a man who seems stuck in the past, unable to find a stable job (or motivation to do so), occupied with socializing while not paying more attention to her needs. If deep frustration was the only thing she was feeling, The Deep Blue Sea would have turned into the typical back and forth between lovers. However, Hester finds enough reason to attempt suicide and, when she is later confronted about it, she cannot explain why she did it and we believe her. To find reasoning in her behavior is to not understand the irrationality of love. The film does well by steering clear of the why by focusing on the how. This is a depiction of unbearable sadness at its most relentless. London and the characters the film focuses on are blanketed in dark, bland tones that are sustained throughout. There are hardly any tears, but the vacant and melancholic eyes of the cast reveal a sense of longing that weighs them down. In a couple of occasions, The Deep Blue Sea rises to the level of sublimity through music. The score does not only evoke the time period quite effectively, but it’s also a tool through which Davies brings a ray of communal joy to the plot, with two musical numbers that focus on the long lost tradition in which strangers would sing a popular tune together in social gatherings. Despite having its share of pleasures, the film Terence Davies adapted from the play of the same name tends to feel melodramatic and theatrical, making it harder for us to empathize with Hester. Instead of feeling a tear building up along the way, we can’t help but feel this woman has brought it all upon herself. This would not be of importance if the effectiveness of the scenes did not depend on sharing part of her pain. It is as if, while adapting the story from theater to the big screen, Davies did not realize that while heavy and anticlimactic dramas might work on a stage, they do not necessarily work on film. Rating: 3/5 (above average) – excellent acting and soundtrack. A bit melodramatic and difficult to relate to. It’s a bummer this one has been getting tepid to negative reviews. I’m curious to see it because of the two leading cast. I could see how this could be too melodramatic and hard to relate to. I still might rent it though as it’s free on Netflix Streaming. Great review, Niels! 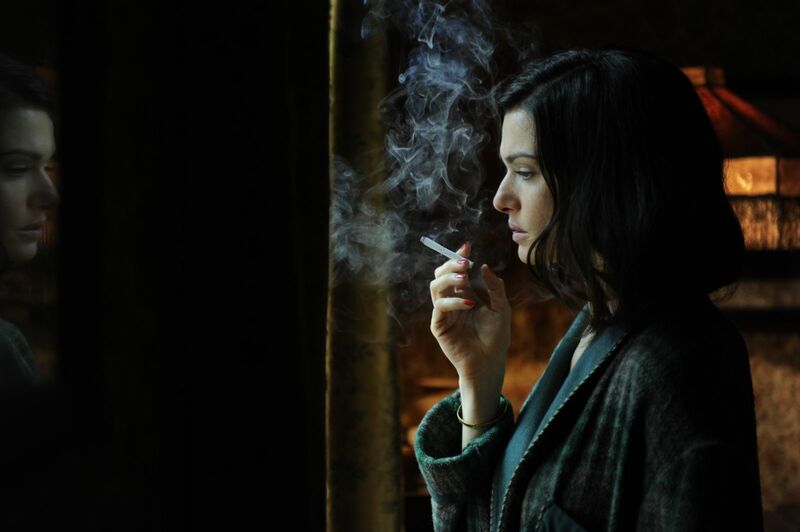 The performances are pretty great, especially by Rachel Weisz. It’s worth watching just in terms of the quality of the acting. Let me know if you do happen to catch it. I agree about the performances. It’s a mature look at love and relationships, but for me, the pain these characters were feeling was a bit rushed, so I thought it needed to be a bit longer. I liked the film, didn’t quite love it. Maybe the stage production is better. I agree with you. The film didn’t quite go deep enough, coming off a bit rushed. I’m sure the theater piece is better.